The weather at Shadow Cliffs has been cool in the morning to warm in the afternoon with the temperatures in the high 50 to the low 80. Water Temperature: 65 degrees, depending on depth. 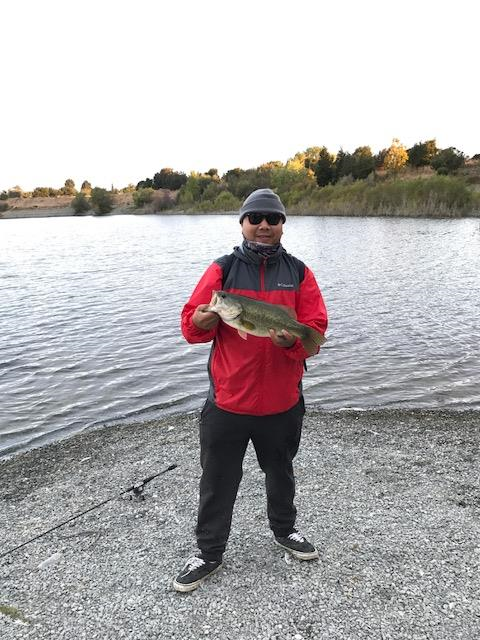 Gabreil Rezendez of Union City caught and released 8 bass float tubing in the arroyo. Jon Anderson of Tracy caught and released a 6lb bass and he was using senko’s and he was fishing the main lake.